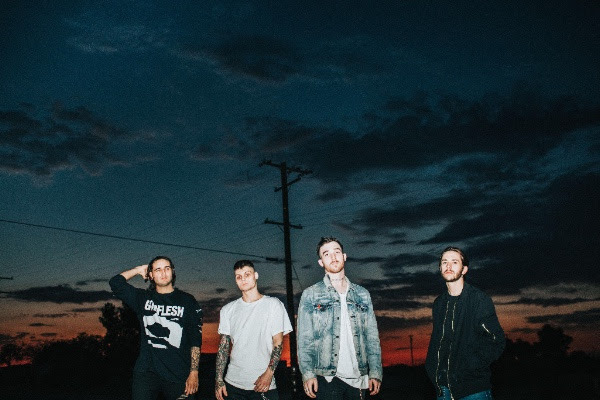 CANE HILL today announced that they will release their second full-length, Too Far Gone, on January 19 through Rise Records. To celebrate the news, the band has also shared the video for the brand new single, "Lord of Flies." Watch it here. "We're excited to announce the release of our new album, Too Far Gone. This is a piece of work that means a lot to us — it's the culmination of our own experiences, the pain, the anger, and the hurt. These are our stories," the band said about the album. Regarding the single, singer Elijah Witt stated, "'Lord of Flies' is just about trusting the wrong person because you want to believe they're something they're not — whether the person convinced you or you were just too dumb to see it. It's a mistake I've made over and over again, though I learned quickly, I can't trust many." Too Far Gone, which is the follow up to 2016's Smile and was named one of the most anticipated albums of 2018 by Alternative Press, is available for pre-order HERE. Cane Hill will return to the road this winter, embarking on a North American tour with Of Mice & Men, Blessthefall, and Fire From the Gods. All confirmed dates are below. Cane Hill will also appear at Rock on the Range in the spring. The band previously released the video for title track. Listen + watch here.